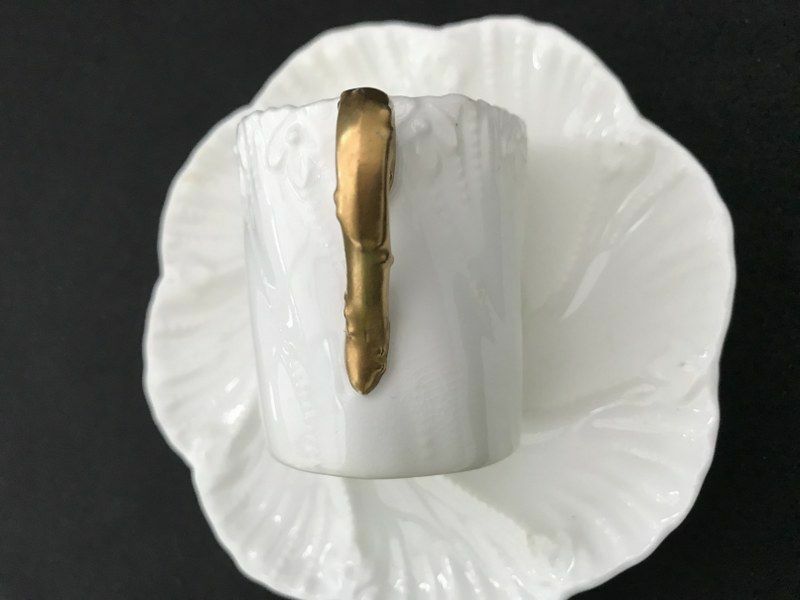 Embossed white china, fluted edges and with gold handle. 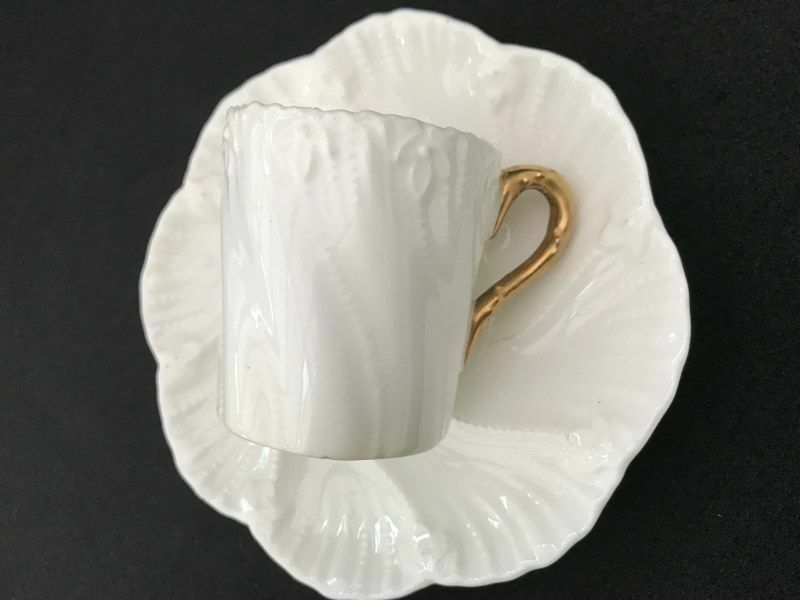 Cup approx 2" tall x 1 1/4" across rim. 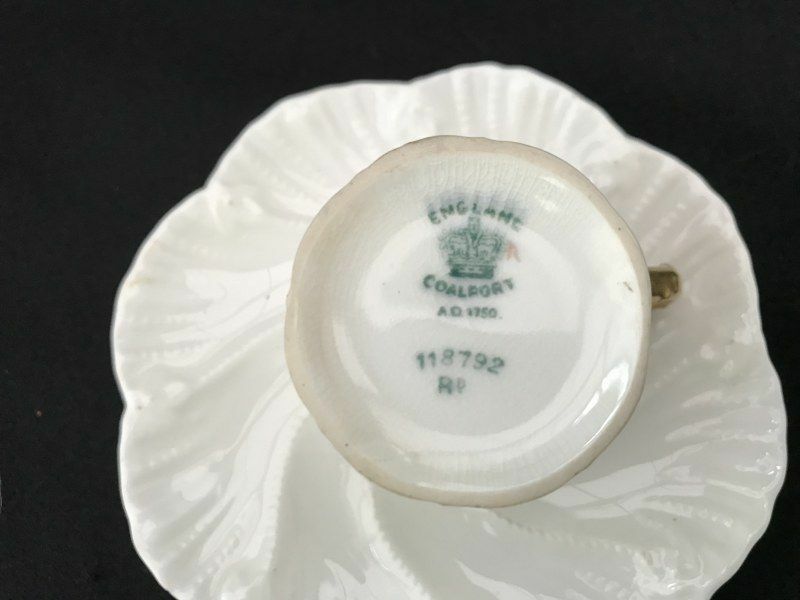 The registration number dates to 1899, so Victorian period. 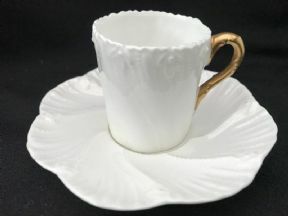 Theses sets are worn, particularly on raised embossing and have glaze crazing with signs of use.